You can order your copy from Amazon.com and many other major book retailers. Excellent book. Is their a possibility you give me a wholesale price and permission to sell at my end times bookstore? I’m glad to have found your site and pray for you and our mission to bring Truth to the people. 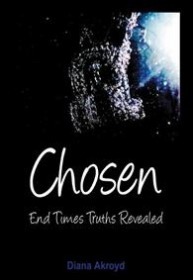 Please feel free to check out my site Diana, it is http://www.endtimesbooks.com. I try to offer themost accurate and informative Christian books and media at the cheapest prices possible. God bless you.